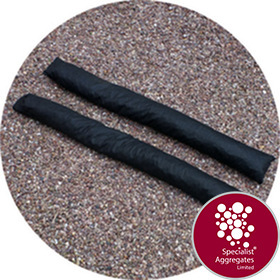 Unique free draining non woven landscape fabric wick filled with LECA® granules, designed specifically for tree pit irrigation. Price shown for 6 boxes of 12 wicks . For 12 pack, and 20 pack pallet prices see drop-down and select before proceeding to checkout. Fabric Specification: Black non-woven landscape fabric weight 60gm per sqm. LECA®DIR wicks are designed as a lightweight, non-compactable irrigation portal providing access and retention of moisture to root systems in both compacted soils and for establishment tree pit irrigation. Experience in Germany has shown that as expanded clay is beneficial over hollow tube irrigation as excess moisture is stored within the pores of the clay granules, mitigating against complete drying out and promoting increased rates of growth. 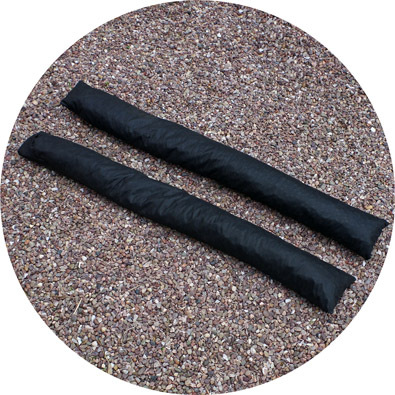 The convenient porous pre-packed form of the wicks alleviates the need for a separate geo-membrane making them suitable for drainage and for edge retention of soils and porous gravels especially in green roof applications. The unique pillow closure of the wick allows for adjustment of length and for effective continuous jointing. Being a natural product LECA® contains no harmful substances, it is inert with neutral pH, The granules are resistant to frost and chemicals, and will not break down in water. They are also non-combustible and have excellent sound and thermal insulation properties. Your Delivery: Your delivery will be on a pallet which will be off-loaded from the lorry using a manual pallet truck. For further details see "Delivery" in our Information Menu or contact our office if you have specific requirements or concerns. 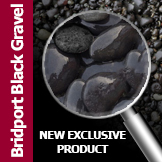 Specify: LECA® DIR Wick from Specialist Aggregates.